Custom wheels built in house. Sometimes an off-the-peg wheelset just doesn't quite tick all the boxes - making a custom built wheelset a better option. With wheelbuild capabilities in house, this is something that we can offer within a week or so. We take pride in the wheels we build, using Park and DT tools and taking the time to properly de-stress and tension a wheel before it leaves. 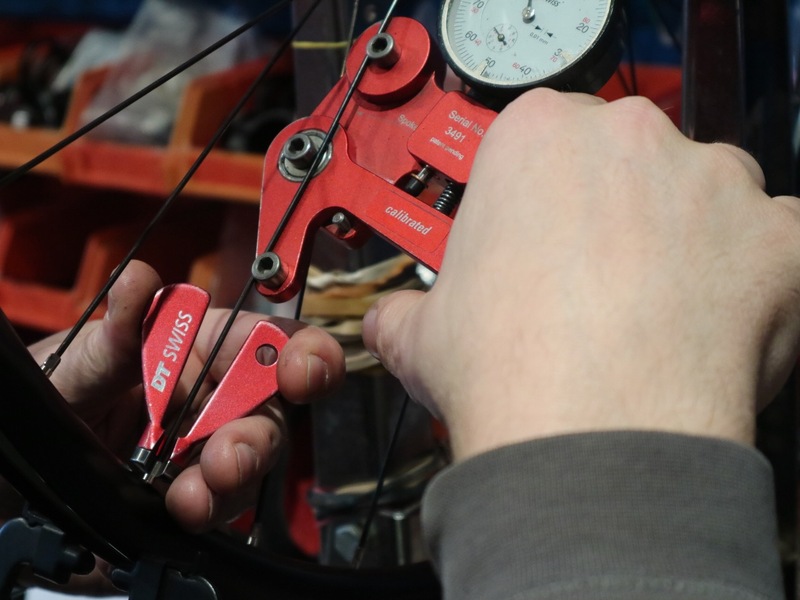 This helps avoid problems with loose spokes within the first few weeks of use. We offer a range of hubs from Hope, DT, Shimano and more - alongside rims from DT, Stans, Pacenti and Santa Cruz. This is by no means an exhaustive list, so please ask if you have other requirements. We can order in from most brands. We build primarily with DT spokes. 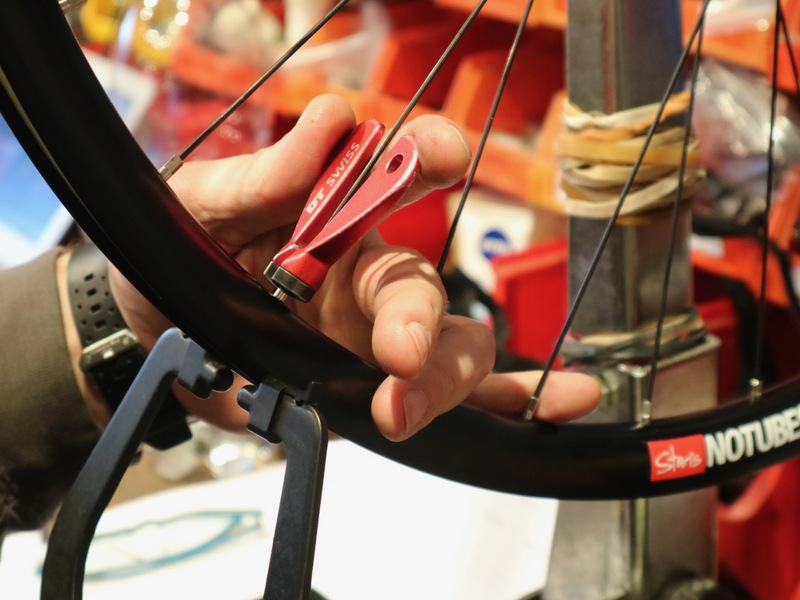 All tubeless rims are taped with Stans tape, we can also supply valves and fit tyres to help get you ready. Given the sheer number of possible options, it's almost impossible to list all permutations of wheelbuild - so the best bet is to get in touch to discuss a potential build. We can run you through a few options and send over a quote or two via email.